Adam Gase’s coaching staff is complete. 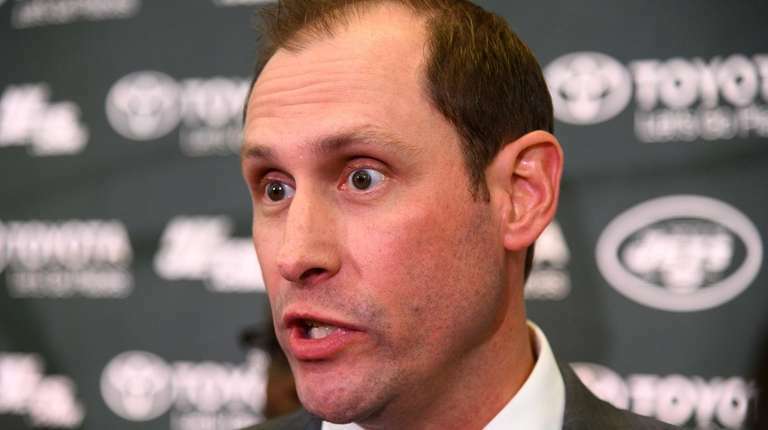 Gase has brought in 13 new coaches and kept eight from Todd Bowles’ staff. The Jets previously announced the hiring of Gregg Williams as defensive coordinator and Dowell Loggains as offensive coordinator and said Brant Boyer will return as special teams coordinator. There are a few interesting names among the new coaches. Former Lions offensive coordinator Jim Bob Cooter will coach the running backs. Joe Vitt, who is Gase’s father-in-law, has been named senior defensive assistant/linebackers coach. Vitt, who was on the Saints staff that won Super Bowl XLIV, testified against Williams in the bounty scandal. Blake Williams, Gregg’s son, will be a defensive assistant. The other new faces are Shawn Jefferson (assistant head coach offense/wide receivers coach), John Dunn (tight ends), Frank Pollack (offensive line), Derek Frazier (assistant offensive line), Bo Hardegree (offensive assistant), Frank Bush (assistant head coach defense/inside linebackers), Andre Carter (defensive line) and Eric Sanders (defensive assistant). Loggains, Vitt, Jefferson, Hardegree, Bush and Carter worked on Gase’s staff with the Dolphins. Defensive backs coach Dennard Wilson is returning and also will be the defensive passing game coordinator. The Jets’ other returning coaches are Steve Jackson (assistant defensive backs), Robby Brown (defensive assistant), Jeff Hammerschmidt (assistant special teams coach), strength and conditioning coach Justus Galac and assistant strength and conditioning coaches Aaron McLaurin and Joseph Giacobbe.